If you are a new patient, please print and fill out these new patient forms prior to your appointment. Then, follow the instructions below to enter the Patient Portal. By completing these online questionnaires about your current problem and medical history, our doctors will be able to review your symptoms and health records in advance so they can provide the highest quality medical care in the most efficient way! Click on the Patient Portal and login using the username (please note, the username is case sensitive) and password assigned to you by the practice. After logging in for the first time, you will need to agree to the Practice Consent screen, which will then put you into the Patient Portal. On the left-hand side, there is a section called "Intake Forms". Follow the instructions to click on and complete all 5 sections. ***Remember to click 'Submit' so that your answers will be sent to your current medical record. *** For the review of systems, indicate 'yes' or 'no' as they apply to your current or immediate past condition. For the past medical history, check 'yes' if you are being treated for or have been treated for that medical problem in the past. List all the medications you are currently taking, or bring in a list with you. Finally, please complete the forms on your family history, social history, and any past surgeries/hospitalizations and allergies. Don't forget to bring your printed new patient forms and your insurance card as well as a picture ID with you to the appointment! Please note: These documents are in Adobe® PDF format. They require Adobe Reader to be viewed. If you do not have Adobe Reader, you can download it for free by clicking here . 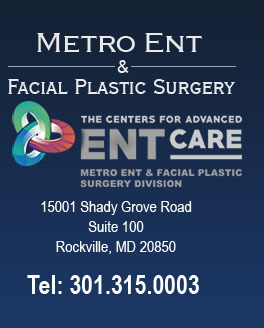 Patients are seen by appointment only, so please call to schedule. Monday - Friday 9AM-5PM, select Saturdays TBD. Phones are on for appointment requests on Mondays from 9AM-12PM and 1PM-4:30PM and on Tuesdays-Fridays from 9AM-1PM and 2PM-4:30PM. Select plans may apply only so you can call the office if you have any questions. Co-payments, applicable deductible and co-insurance amounts as well as payments for self-pay patients are due at the time of service. Payment options include cash, check, or credit card (Visa, Mastercard, Discover).